Reserve a spot in your weekend for the latest installment of this Pinterester's Utopia. 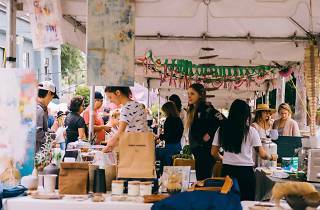 Hosted at the 5,000-square-foot Mack Sennett Studios, the Echo Park Craft Fair returns, welcoming artsy Eastsiders for a feast of hand-dyed clothing and delicately concocted bath oils, one-of-a-kind ceramics, weavings, jewelry and beyond. 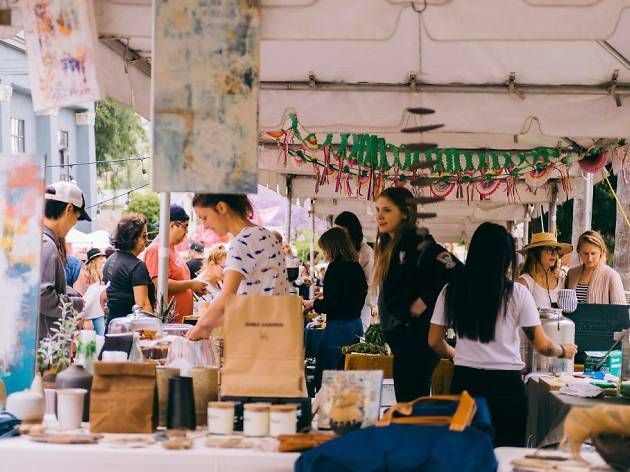 Founded by a shoe designer and a textile artist, the bi-annual extravaganza has grown from a backyard hangout to an artisan's haven, providing a number of local craftspeople a space to showcase their handmade gems.